And we make it look easy. For our company to look good, you have to look great. It goes beyond the perfect press or freshly scrubbed linens. It extends to the service we provide, inventory management, and, most importantly, our relationship with clients. Innovation puts us in an elite laundry category, but it’s our roots as a local and family-owned business that grounds us. Our approach to linen and laundry is unique, just like you. Our goal is to make you look great with innovative technology, superior quality, and the linen products your business needs to look great. We also provide a number of services; from logo embroidery to facility management and uniform rental. These valuable services are built on a legacy that started in 1917 and have survived through droughts, depressions, and even fires. Our history is strong and drives us to stay ahead of the trends while constantly focused on customer satisfaction through innovation and sustainability. 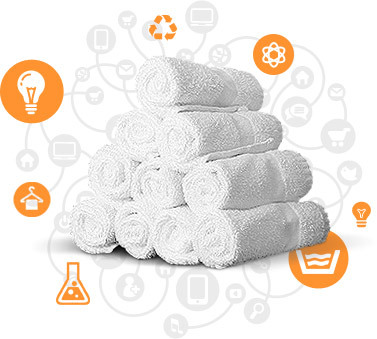 Thanks to the latest laundry technologies available, we have remained an industry leader using RFID, environment friendly cleaning solutions, and energy efficiencies to provide the most sustainable linen, laundry, and textile services possible. Speak with us to today to get started. We want to show you just how great we can help you and your employees look. New System currently has locations in Portland, Seattle, and Eugene.